The Talleys are finishing up the last of our concerts before we take a break for Christmas, and we are thankful for a wonderful 2018. As I write this, Mom and I (Lauren) are headed to Nashville for Jim and Melissa Brady's Something Beautiful conference. It's our favorite time of year! The weather is cooling a bit, football is back, (Go Vols!) and Debra's "soup suppers" are just around the corner! Here's hoping you have a great Independence Day! Hope this finds everyone well. We are headed home from another good weekend of worship. We're heading home from a wonderful weekend in which we saw people give their hearts to the Lord and truly worship. We are excited to announce our new cruise for 2019! Well, we have come rushing into 2018 and with it, a continuation of The Gospel Through Girls And Guitars tour. It's that time of year again! You know, the time we look forward to, but then we breathe a sigh of relief when it's over. At Empower, you'll be encouraged and taught by some of Christian music's most accomplished and respected artists and professionals, The Talleys. 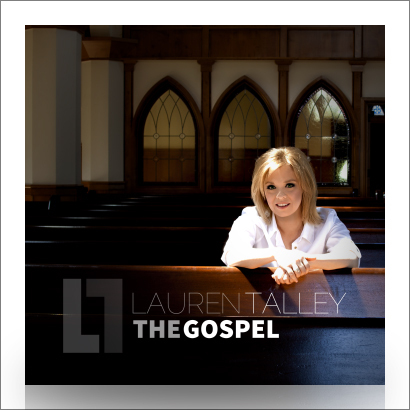 The Gospel: The highly acclaimed 2017 release. Lauren returns to her role as producer, singer co-writing four of the ten tracks. The Talleys are excited to announce the release of a brand new CD project titled God Is Able. I've heard several people say that 2016 was a terrible year and they would be happy to see it go. Life is just plain harder some years. The Talleys are excited to announce the Talley Ho Ho Ho Christmas Tour!! Fall is my favorite time of year. A little nip in the air. Finally! Making soup. Watching football. Just chillin' on the patio watching the leaves turn. Well, that's my dream scenario. Here's what actually happened. I want to thank everyone that sent condolences, flowers, cards, and prayers in remembrance of my father. Your concern and kindness was appreciated by my entire family. The Talleys are excited to announce the release of a brand-new short concept film featuring their latest single, "The People In The Line." The song is the first release from their highly acclaimed recording, "After All This Time." A few years ago, I wrote a story called "Pride and a Red Walker," which is in my book, God Moments in an Ordinary Life. We hope 2016 is off to a great start for you! The Talleys are starting it off with some much-needed time off at home, and I'm writing this during a break from my annual "Everything Must Go!" closet-cleaning frenzy. Our Christmas concerts are in full swing, and we've just spent two great days in Amish country at the Carlisle Inn in Sugarcreek, OH. Somehow, in between the good cooking and shopping, we managed to sing for two full houses of great folks. Thanks to everyone at the Carlisle Inn for the great hospitality. "Hidden Heroes," recorded by the Talleys, is the winner of the 2015 GMA Dove Award for Southern Gospel Song Of The Year. This is the second time the Talleys have won for Southern Gospel Song of the Year in their storied career. The Talleys are excited to announce that their recent hit, "Hidden Heroes," has been chosen by the Gospel Music Association as a Top 5 nominee for the 2015 GMA Dove Award for Southern Gospel Recorded Song of the Year. This marks the third time the song has been honored, previously by the AGM Ovation Awards and the Singing News Fan Awards. The Good News! He's Alive! Tour, featuring the Talleys and Tribute, is coming to a city near you this summer and fall! The most fun, exciting show in gospel music kicks off June 27 in Houston, Texas at Living Word Nazarene Church. The unique collaboration features the two award-winning groups on stage together for the entire show, pairing their hit songs, classic gospel favorites, hilarious comedy routines and sharing their hearts for an unforgettable worship experience. We are headed to Myrtle Beach for Singing in the Sun, and as we drive, we're listening to a few new songs we're considering for a new recording. We have found a few that we really like, but the final list isn't complete just yet. Pray for us as we seek to find just the right songs that will speak to us and you! We are honored to receive five Singing News Fan Award nominations! To cast your vote, visit singingnews.com and show your support for the Talleys! Many people often ask what we do when we get home from the road. The standard answer is get ready to leave again. That's the short answer because paying bills, cleaning, office work, and doing laundry don't seem very interesting. We all do that. However, as I write this, there's been a winter storm, Octavia, that's been visiting all week. Snow, ice, sleet, freezing rain, and frigid temperatures have keep me inside so I could really have some fun. Taxes!! Now that's a good time. NOT! 2015 is off to a great start! We have so much to tell you! Roger has just released a long-awaited NEW piano CD! "Timeless Piano Classics" features Roger solo at the piano, playing favorite hymns and songs that have been special to him through the years. You'll even get to hear his version of the University of Tennessee Alma Mater! It's a beautiful collection and you can order it now at thetalleys.com. We're excited to announce the release of Timeless Piano Classics by Roger Talley! Roger has long been regarded as one of gospel music's most innovative arrangers and pianists. His simple yet elegant use of chords has long been his trademark. This anticipated collection features Roger solo at the piano, playing the songs that have been the soundtrack of his life.